Unbelievable: connected the test track to the DCC Control Unit, placed on it my only DCC locomotive (an ancient French Jouef steam loco in which I had some months ago installed a DCC computer chip) turned the handheld controller to "Go" and the little, ancient, French Jouef moved forward. It travelled along the track, over the points and reached the end of the line. Then I reversed it back the way it had come, changed the points with a flick of the switch and off the engine went over the points and down the other leg of the test track. When I think of all the experts I have spoken to face-to-face about DCC - nice, intelligent, experienced folk - who have stated their unwillingness to indulge in, sometimes extreme scepticism about and lack of confidence in wiring up the track, the points and the locos for DCC, I can only congratulate myself for having got it all to work; admittedly in the most protracted, inefficient and error strewn fashion. I wouldn't be surprised if out of the thousand or so model railway enthusiasts in Scotland, only a handful have a DCC layout. One truth oft stated in the literature is that wiring electrofrog points for DCC is no different from wiring them for ordinary DC. The truth is oft stated because, apparently, a myth had developed that wiring for DCC is a peculiarly complex procedure compared to wiring for DC. The latter is the view I have found expressed by individuals that I have spoken to. But, I can confirm that it is a myth. The truth is that it is equally hellish learning how to wire electrofrog points for DCC as DC - however, the principles are the same. The much tidied up baseboard with elevated test track. What a voice, this Dane had. Heard a recording of him singing a song by Carl Nielsen last week on Radio 3 but hadn't had time to investigate what was very obviously an ancient archive recording. Anway, had the time last night, traced the album from which the song had come, found it on iTunes and downloaded it PLUS his rendition of Schubert's Die schöne Müllerin (the song of the Miller, I presume) accompanied by the pianist Gerald Moore, the latter a recording from 1945! I, myself, can't describe the sweet quality of Schiotz's tenor voice. But here is a review by an American that I found on Amazon's website. "Over 30 years ago my college roommate, born in the Netherlands, introduced me to this recording, a treasured favorite of his family's in Europe. And so it has been for me ever since. 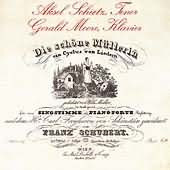 Perhaps I can best sum up my high regard for this recording by saying that, whereas Fischer-Diskau's rendition of this cycle is for me the work of an exquisitely trained and sensitive artist, Schiotz is, quite simply, the Miller himself singing." Note: is it right that I am able to get this instant gratification via iTunes. It's become a case of "Like it" "Get it".